A 14-year-old student was arrested after he brought a gun to his Richmond high school on Friday, an incident that provides a clear example of the importance of school resource officers, according to the Richmond Police Department. 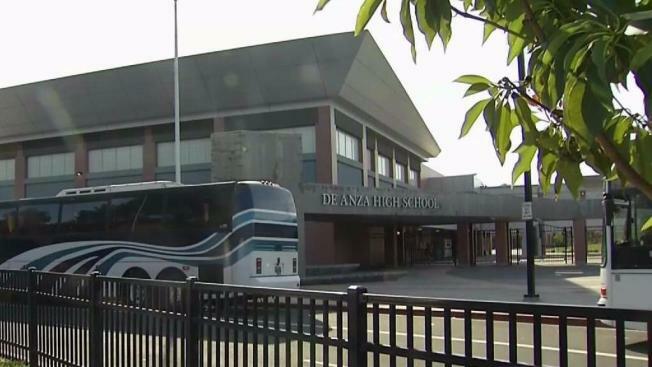 On Thursday, a school resource officer at De Anza High School received information that a student there may have been in possession of a loaded gun. When the officer learned the information, school had already let out, but the officer notified school staff. The next day, Friday, school staff detained the student and confirmed that he was in possession of a loaded gun, which was hidden in his backpack, according to police. "The potential was there," said Officer Joe England, the resource officer at De Anza High. "It could have been easily loaded, and anything could have happened." The student was arrested, and the gun, a .375 magnum revolver, was recovered. Police credited the quick response to resource officers' relationships with students and staff at the six schools where the officers have been assigned. On Tuesday, Richmond police school resource officers spent the day in active shooter training. They want to be ready if the unthinkable happens. "That’s why we are on campus 90 percent of the time," Sgt. Lynette Parker said. "Because we want to make sure if a violent intruder or active shooter situation happens, there is an officer prepared mentally to protect the campus and protect the kids." On Tuesday night, however, there’s growing concern school resource officers could be on the chopping block. Last week, the West Contra Costa Unified School Board approved a resolution aimed at changing the way discipline is handled. It includes a clause that states "funding for law enforcement should be redirected ... to support restorative justice practices." "Is the district trying to do away with school resource officers? No," said district spokesman Marcus Walton. "The district is trying to gather data around school resource officers and the need and role on our campuses." School board member and parent, Mister Phillips, thinks removing officers from schools would be a big mistake. He tried unsuccessfully to change the resolution. "When a government body writes a resolution and says funds should be directed from one source to another source, that means something," Phillips said. School resource officers say they know they’re making a difference. "We are not trying to criminalize kids," Parker said. "We are a resource; we mentor kids." Police recommend that residents report suspicious persons, vehicles, or anyone who may be in possession of a firearm illegally by calling 911 or (510) 233-1214.